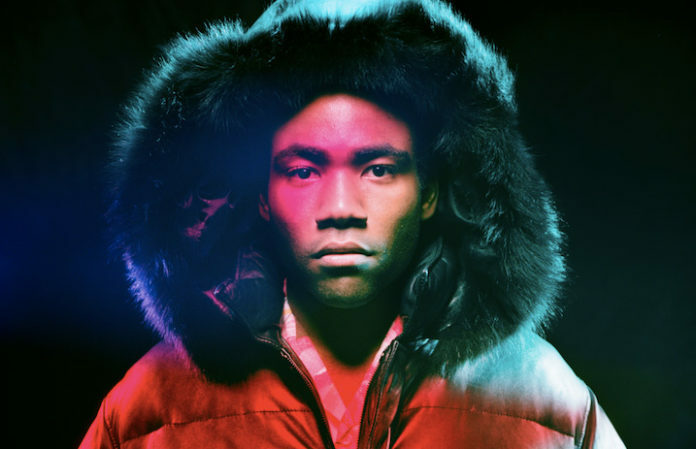 Famed rapper Childish Gambino—A.K.A. Donald Glover—is releasing his new album, “Awaken, My Love!“, this Friday, Dec. 2. On Tuesday (Nov. 29), he offered fans a variety of ways to grab the new LP, including a CD, a bundle with a limited edition poster and a mysterious virtual reality vinyl—the details of which haven't been announced. The vinyl package includes the 11 track album on two 45 RPM heavyweight 12 in. vinyl records and an exclusive poster (the latter is only available until release date). If it's ordered now, fans get tracks “Me And Your Mama” and “Redbone” immediately and a digital download of the album on Friday. Sounds pretty standard, right? But here's the interesting part: The vinyl delivery date is “to be decided 2017.” Not only that—but the pricing is subject to change “as package content is finalized.” The price is currently set at $59.99. And what makes it virtual reality? Who knows. Check it out here. The link is to his Pharos app, which featured footage from his Pharos concert in September at Joshua Tree in California. Plus, the footage is available in a 360-degree perspective. How cool is that? Gambino released his first album, Camp, in 2011, and his second, Because The Internet, in 2013. An accomplished actor and sitcom writer, Glover wrote for 30 Rock; played a role on Community; wrote, directed and executive produced FX's new show Atlanta; and was cast as young Lando Calrissian in the untitled Han Solo 2018 Star Wars spin-off. Talk about a man of many talents. Have a listen to “Me And Your Mama” below. What do you think the virtual reality vinyl entails?